Email marketing has been used for years. How has it grown over the years? Everyone knows that email marketing will never die, but it is changing. However, it is still very much alive and kicking marketing campaign in engaging customers and subscribers. It is still a very powerful tool in generating new leads and nurture existing ones. With the increasing use of smartphones, it is rather important to ensure the experience is optimized for mobile as well. When your email marketing campaign reach slows down or grows stagnant, it is time to look for new effort to get back your audiences. There’s one vital tool you may be leaving out: Infographics. According to Dictionary.com, infographics mean “visual presentation of information in the form of a chart, graph, or other image accompanied by minimal text, intended to give an easily understood overview, often of a complex subject”. We’ve seen the effectiveness continue to rise. Simply because there is no better way to turn boring text content and data into a youthful color palette that people actually want to read. Infographics allow us to easily tell stories with data and graphics, explain complex ideas in easy to understand chunks. In short, infographics are the fastest way to get people to remember what you’ve shared in your email. The reason why infographics are so popular might have something to do with the fact that 65% of the world’s population is made up of visual learners. If you are planning for a successful email marketing campaign, start it with asking yourself, what is your story and how should it be told? The two main reasons for using infographics: Increase brand awareness and drive traffics-increase conversions. 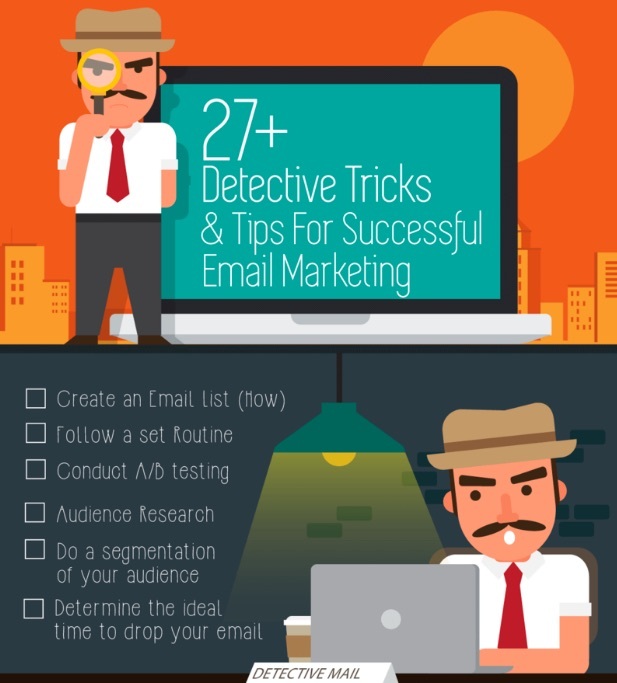 Below, we will go through some excellent email marketing infographics that really stand out. Things are indeed changing. Many marketing tools has these features and templates ready. If you are ready to plan your business with email marketing, you can look for that. Ready to grow your email list and your business? Get started today but remember to keep your email list clean to get rid of high bounce rate and increase deliverability.